Our product range includes a wide range of sangoma a101 pri card digital telephony card, allo 1 port pri card, digium 1te131f one span digital t1/e1 pri pci-express card, allo 3rd gen. 4 port pri e1/t1 card, allo 1 port pri card ec (pci & pcie) and allo 2 port pri card. 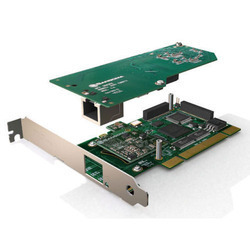 The Sangoma A101 is an AFT board that supports a single T1/E1, or fractional T1/E1 data streams. It fits in a PCI card slot. The Sangoma A101 will support up to 2.048 Mbps of full duplex data through-put, or as many as 30 voice calls over a single T1, E1, or J1 line. Voice Applications - AsteriskTM, YateTM, Open PBX/IVR, FreeSwitchTM, TrixBoxTM, as well as proprietary applications. Line Protocols - FCC Part 15 Class A, FCC Part 68, CISPR 22, EN 55022, Class A, CIPSR 24, AFIC-2016, IEC 60950. Technical certifications in Russia, Malaysia, and Australia. Higher Level Protocols - IP/PX over Frame Relay/PPP/HDLC/X.25, X.25 over Frame Relay (Annex G), BSC over X.25 (D.T. and TOP), SNA over X.25, PPPoE, PPPoA, IP over ATM. 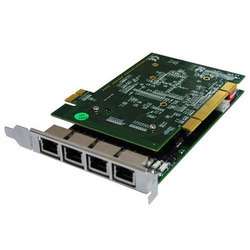 With the help of our team of adroit professionals, we have become a reliable organization of a high quality assortment of Allo 1 Port PRI Card. Being a quality-oriented organization, we assure our clients that this card is the best in quality. Our skilled professionals only utilize fine quality raw material, while manufacturing the entire range. Moreover, our offered range can be availed in a wide range of specifications, as per the requirements of our esteemed clients. 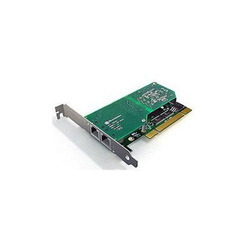 We have gained a remarkable position in the industry by offering a qualitative assortment of Digium 1TE131F One Span Digital T1/E1 PRI PCI-Express Card. It is perfect for building Asterisk solutions with direct connections to the phone network or legacy equipment. The offered card is manufactured employing high-end technology and well-tested raw material in adherence to industry defined guidelines. Apart from this, the entire range is rigorously tested under the strict inspection of our quality controllers. This range can be availed from us in various specifications at market leading prices. 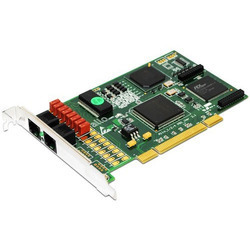 With our enormous experience in this domain, we have established ourselves as one of the most reliable organizations of excellent quality Allo 2nd Gen. 4 Port PRI/E1/T1 Card. This card is manufactured using excellent quality raw material and latest technology by our skilled professionals. In order to ensure quality, this card is stringently tested on various parameters by our experts. Apart from this, remarkable quality and durability increase the demand of our offered range in the market. Allo 2 Port Pri Card affordable and easy to install, our E1/T1 PRI card can be bought with up to 4 ports and supports up to 30 voice calls per span, full-duplex data throughput. We use the same chipset as the bigger, more expensive brands and still deliver the same voice quality. Add the 128ms Hardware based Echo Cancellation Module and reach the highest standard in voice quality on the market. Use this card with the major Open Source platforms and create your own powerful PBX while keeping cost to a minimum. 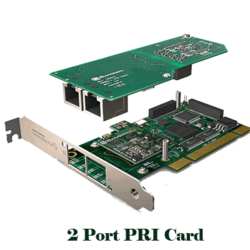 Affordable and easy to install, our E1/T1 PRI card can be bought with up to 4 ports and supports up to 30 voice calls per span, full-duplex data throughput. We use the same chipset as the bigger, more expensive brands and still deliver the same voice quality. Add the 128 ms Hardware based Echo Cancellation Module and reach the highest standard in voice quality on the market. Use this card with the major Open Source platforms and create your own powerful PBX while keeping cost to a minimum. Ask for availability Whats this? Ask for Demo Whats this? Reserve Product And Visit Store Whats this? Product Description Certified byAlso works with our PRI cards support SS7 signaling 128 ms Hardware based Line Echo Cancellation on Octassic Tm DSP. Elastix TM Certified and works Asterisk TM, Freeswitch TM, YATE as well as other open source projects 2 PRI T1/E1 ports with 30 B channels and 1 D channel per span. EuroISDN (PRI or PRA) - Q.931/Q.921 fully PCI 2.2/PCIe compliant RJ 48 connector. Suitable for 3.3 volts and 5.0 volts 32 bit PCI 2.2 slots PCI 2.2/PCIe compliant. 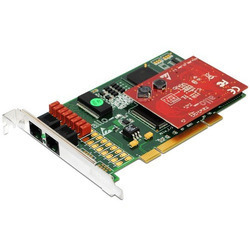 Allo 2 Port PRI CARD + EC (PCI & PCIe) are affordable and easy to install, our E1/T1 PRI card can be bought with up to 4 ports and supports up to 30 voice calls per span, full-duplex data throughput. We use the same chipset as the bigger, more expensive brands and still deliver the same voice quality. Add the 128 ms Hardware based Echo Cancellation Module and reach the highest standard in voice quality on the market. 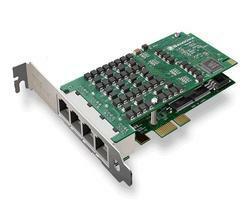 Allo 4 Port PRI CARD affordable and easy to install, our E1/T1 PRI card can be bought with up to 4 ports and supports up to 30 voice calls per span, full-duplex data throughput. We use the same chipset as the bigger, more expensive brands and still deliver the same voice quality. Add the 128 ms Hardware based Echo Cancellation Module and reach the highest standard in voice quality on the market. Use this card with the major Open Source platforms and create your own powerful PBX while keeping cost to a minimum. Product Description Certified byAlso works with our PRI cards support SS7 signaling 128 ms Hardware based Line Echo Cancellation on Octassic Tm DSP. Elastix TM Certified and works Asterisk TM, Freeswitch TM, YATE as well as other open source projects, 4 PRI T1/E1 ports with 30 B channels and 1 D channel per span. EuroISDN (PRI or PRA) - Q.931/Q.921 fully PCI 2.2/PCIe compliant RJ 48 connector. Suitable for 3.3 volts and 5.0 volts 32 bit PCI 2.2 slots PCI 2.2/PCIe compliant. 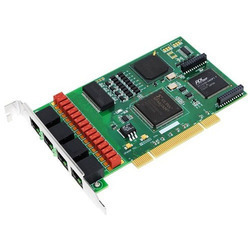 The Sangoma A102 is an AFT board supporting dual T1/E1 or fractional T1/E1 data streams. The A102 offers PCI connectivity. The A102 can support up to to 60 simultaneous voice calls or 4.096 Mbps of full-duplex data throughput over two T1, E1, or J1 lines. Line Protocols - Voice CAS, MFC/R2, PRI, ATM, Frame Relay, X.25, HDLC, PPP, SS7, Transparent bit-stream, BSC. 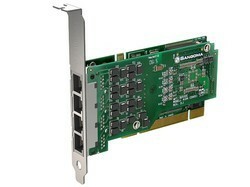 The Sangoma A104 is an AFT board designed to support four T1/E1 or fractional T1/E1 data streams. The Sangoma A104 has a PCI interface. The Sangoma A104 card features four ports of optimized voice and data over T1, E1, and J1. The Sangoma A104 card supports up to 120 voice calls or 8.192 Mbps of full-duplex data throughput over four T1, E1, or J1 lines. The Sangoma A102DE is an AFT board that dual T1/E1 or fractional T1/E1 data streams. It includes 1024 tap (128ms) hardware echo cancellation across 60 channels. The A102DE offers PCIe connectivity. The A102DE can support up to to 60 simultaneous voice calls or 4.096 Mbps of full-duplex data throughput over two T1, E1, or J1 lines. 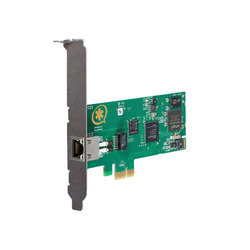 The Sangoma A104DE is an AFT board supports four T1/E1 or fractional T1/E1 data streams and includes 1024 tap (128ms) hardware based echo cancellation across 120 channels. 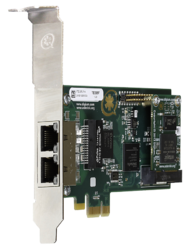 The Sangoma A104DE has a PCIe interface. The Sangoma A104DE card features four ports of optimized voice and data over T1, E1, and J1. The Sangoma A104DE card is able to support up to 120 voice calls or 8.192 Mbps of full-duplex data throughput over four T1, E1, or J1 lines.